We are Hiring DIRECTV Installers Again! Due to our continuing growth we are once again looking for experienced DIRECTV installers. We pay above industry standard wages with paid vacation and an opportunity to get SBCA certifications for commercial installations! Our installers have been with us for years. We just need more!! 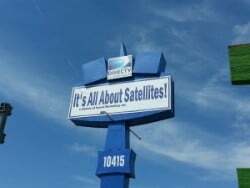 Residential/Commercial Satellite TV Installation Technician needed!!!! SBCA certified and/or other industry certifications are A PLUS, but not required. We will get you the certifications you need! Must be able to travel and work weekends when needed with some overtime.